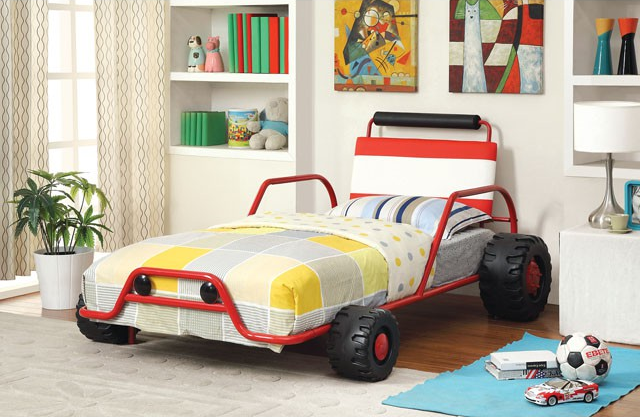 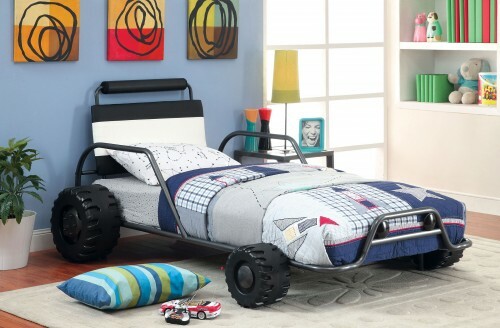 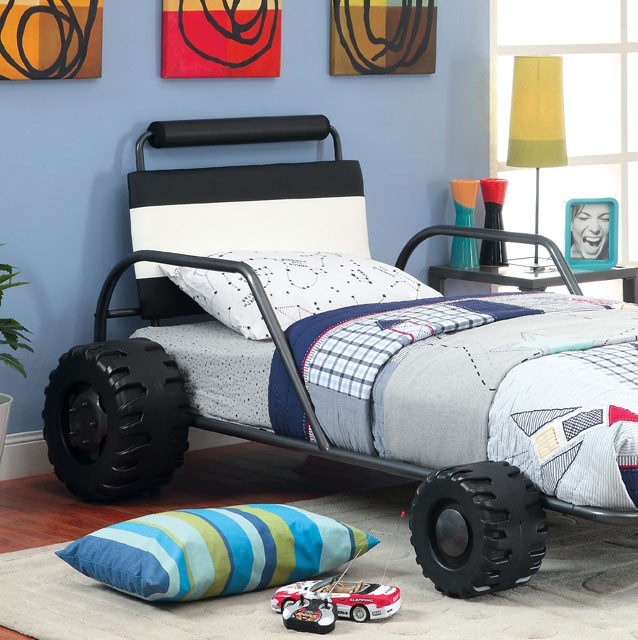 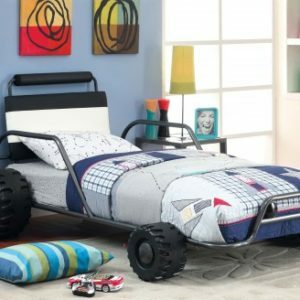 Fulfill your child’s need for speed with this fun race car bed. 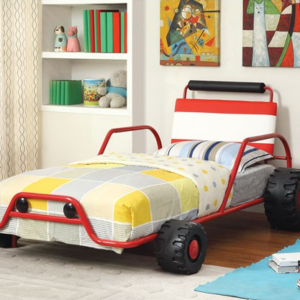 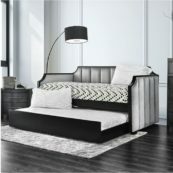 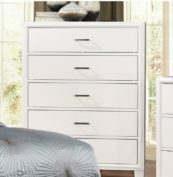 This bed has a study metal construction with leatherette headboard and replica car wheels for added realism. 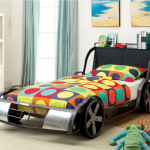 Mattress ready, all this bed needs now is a driver!